TigerSwitch 10/100 - SMC6128PL2 [SMC6128PL2 TigerSwitch] : AddVant LLC, IP PBX, IP Phones, WiFi etc. 24-port 10/100 Managed Switch with PoE, IP Clustering and 4 Gigabit ports.<BR>The SMC6128PL2 is a feature rich SMB focused 10/100 switch with PoE. The IEEE 802.3af Power over Ethernet operates on all 10/100 ports enabling IP phones or cameras to be installed without the need for extra power cables. Also it is comes installed with clustering software which will enable grouping together of other SMC6100 or SMC8100 products. This 10/100 workgroup edge switch is designed to provide a flexible management architecture including clustering but with the added benefit of PoE. It is capable of reaching up to 12.8Gbps with a non-blocking single chip switching architecture including the 4 gigabit ports. 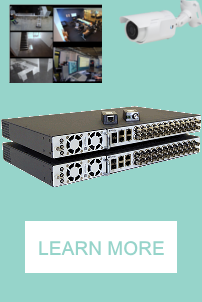 It provides cost-effective, Ethernet switching for bandwidth-intensive networks that require advanced switching features to ensure smooth transmission of mission critical data. The comprehensive security features include RADIUS, IEEE802.1x, SSH, SSL,TACACS+, and ACL. High port -density and 1U high, this switch is ideal for SMB workgroup installations which need the benefits of PoE.